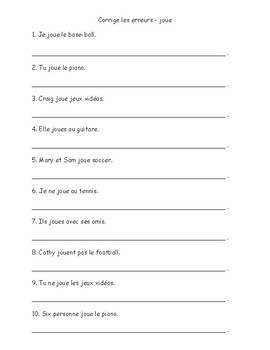 Use this worksheet to practice the French verbs Aimer & Jouer. 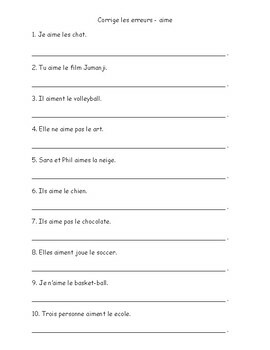 Students must read the sentences and look for errors in the verbs. Get to use as practice or review for a test!. To promote speaking and oral vocabulary practice, I like to partner students up and give them only one sheet to work on together. This gets them talking and actually saying the vocabulary words instead of just reading them. Tip: Partner weak students with strong students. Practice makes perfect!